What is Outlast Filmmaking Camp? Outlast Filmmaking Camp is a volunteer based camp that teaches filmmaking skills from pre-production through post. 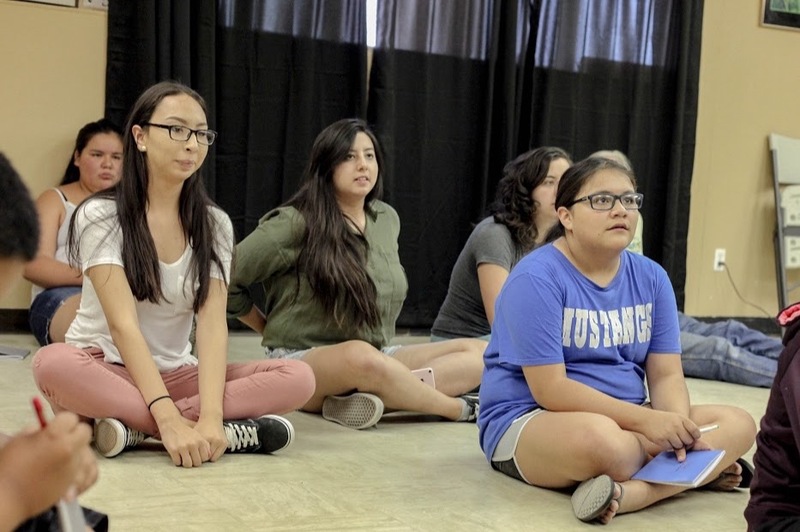 We service students who don’t have the opportunities to engage in art and cinema on a daily basis, and as a result, often have their stories, and the stories of their people, told for them. During camp, students will learn the the basics of cinematography, directing, editing and sound. They will be introduced to a diverse range of filmmakers and cinematic styles, and will then write, direct, shoot and edit a short project. That's why Outlast is completely free for the campers. All they have to want to do is show up and we provide the rest. 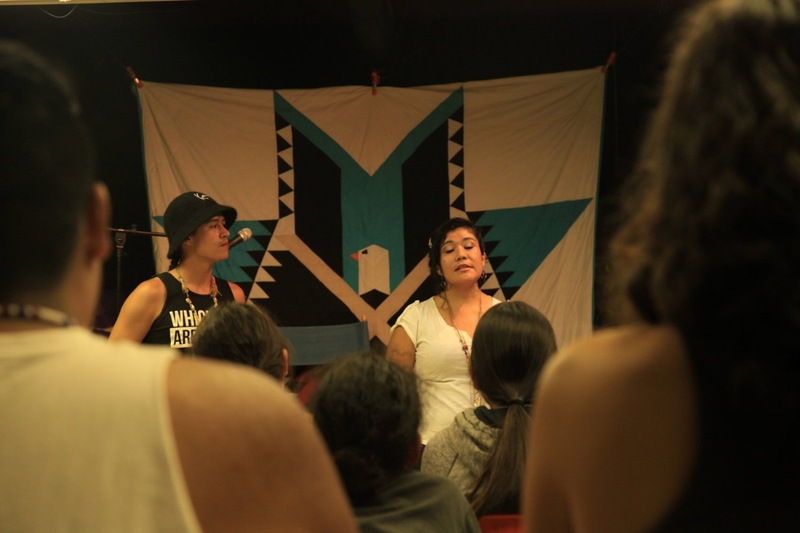 Outlast has worked on Pine Ridge Indian Reservation for the last three summers, and this year, we’re continuing our work there, aiming to bring a camp that is bigger and better than our previous ones. 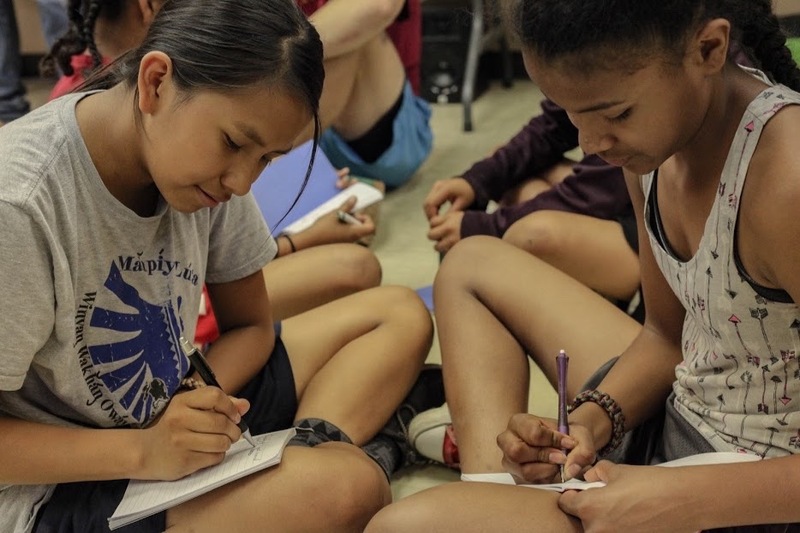 For our camp project, the campers will create a music video for Native American Rapper Frank Waln and his writing partner Tanaya Winder . The campers will work with Frank and Tanaya to create an original music video for one of their songs. The students will come up with the concept, create a production plan and execute the video from pre-production through post. -Renting professional production gear, including camera, sound, lighting and grip gear so that the students can create the highest quality films possible. Who are the Outlast Mentors? Outlast was founded and is currently run by young Women and People of Color. We recognize that there is an absence of minority voices in film and media and we work together to inspire the next generation of children and teens. While film is what we teach, we aim to make Outlast about much more than that. 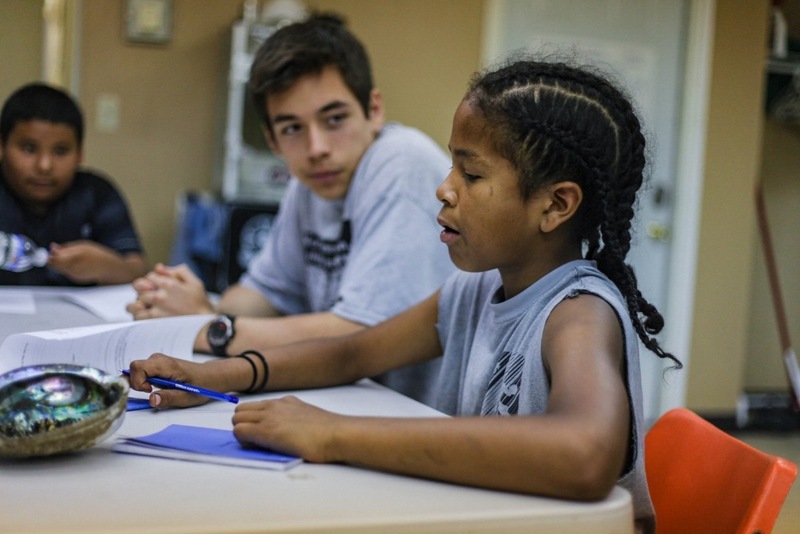 We seek to inspire, engage and instill confidence in all of our campers. We are building friendships that last long beyond our week at camp. LaTerrian is a graduate of The University of Southern California's Film and Television Production program. 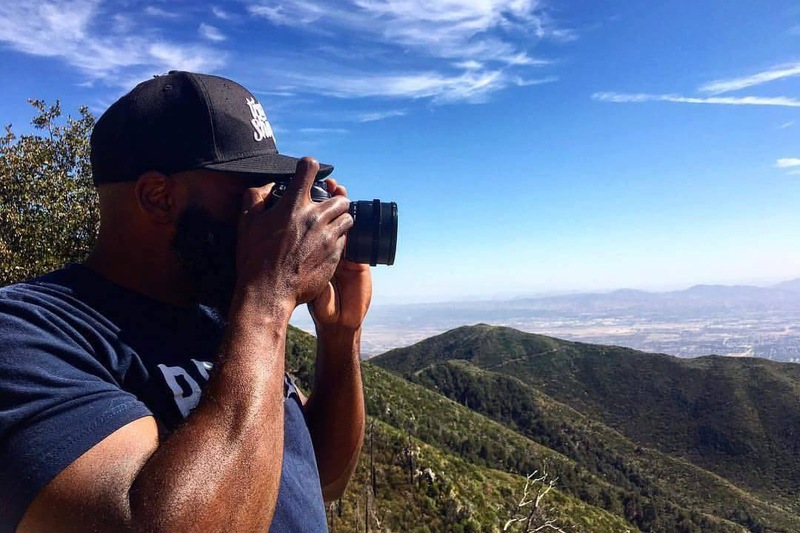 Since graduating, LT has worked in the camera department on various film productions, including Spiderman: Homecoming, Black Panther, Transformers: Bumblebee and HBO's True Detective. She's pursuing a career in cinematography / documentary filmmaking but also has a passion for non-profit management and community service. In her free time, LT enjoys traveling, having been to Thailand, Morocco, England, Scotland, Wales, Italy, France, The Netherlands and Portugal. She's also a musician and has played violin since 5th grade. Shelby Treichler grew up in Lexington, NC with a big family, lots of pets and lots of land to roam. In 2007, she moved to Wilmington, NC to study film at UNC-Wilmington where she graduated with an honors degree in film and theatre. She's been working in narrative film and tv since then, first in Wilmington and then in Atlanta. Shelby started in Art Department and then moved to Props Department. Though she loves crafting fiction she's been wanting to make a move to documentary for some time. This desired move has been partially inspired by her travels. 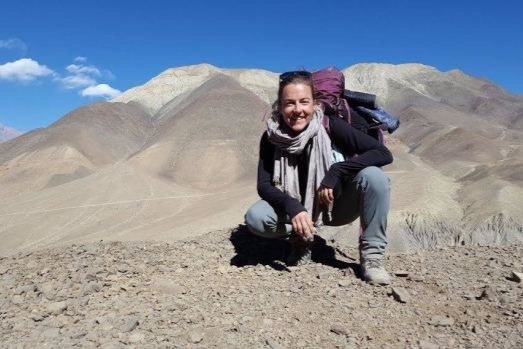 In the past 5 years she's taken a month long train trip around the US, spent time hiking in Colorado, Utah and California, traveled to Ireland, Peru and just spent a month trekking in Nepal. Shelby has met so many amazing people and heard so many amazing stories, stories that should be shared. Mato Standing Soldier is an Oglala Lakota filmmaker/part-time chef extraordinaire from South Dakota. He’s currently in his sophomore year at the University of Southern California, where he’s studying Cinema and Media Studies. When he’s not in the library, Mato enjoys making music, watching food documentaries, and calling his mom to gossip about the newest movies out in theaters. 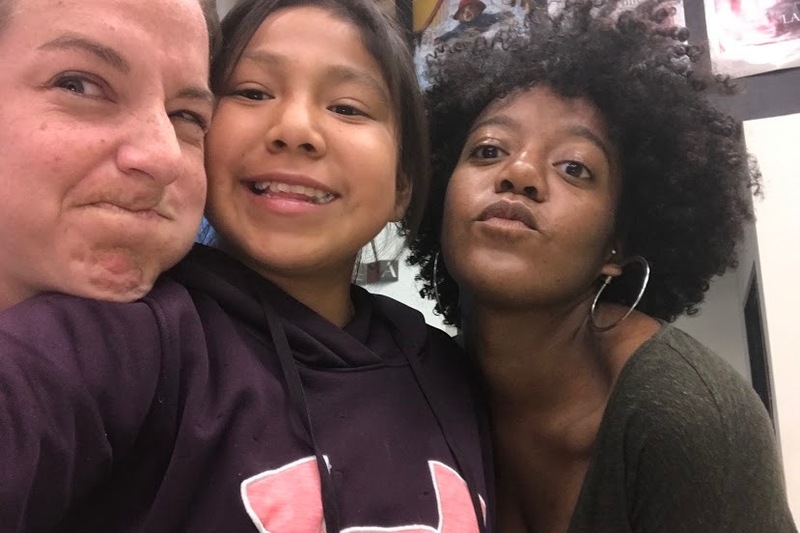 As Associate Camp Director of Outlast, Mato is tremendously excited to once again mentor and collaborate with the talented youth of Pine Ridge. July can’t come soon enough! Christopher Nataanii Cegielski is a Navajo Filmmaker from Flagstaff, Arizona. Originally wanting to be an author, he soon because attracted to film’s visual storytelling. 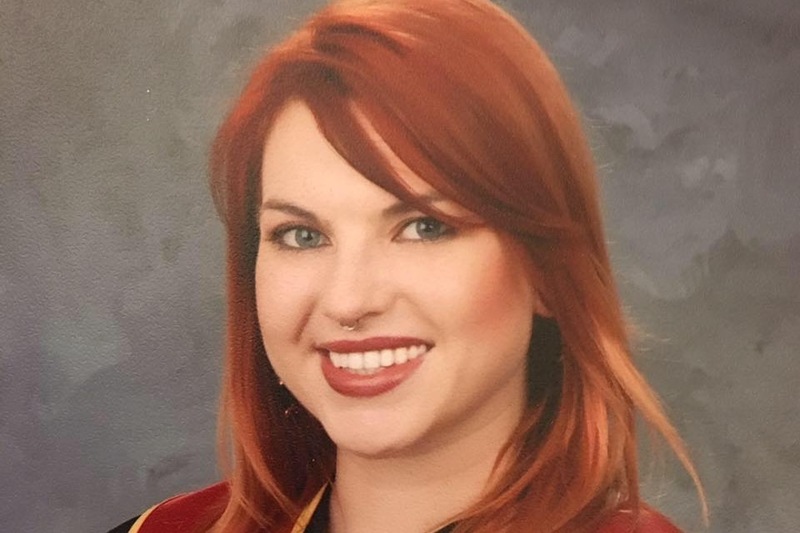 Cegielski is a graduate from the University of Arizona’s B.F.A. Film Program. His short thesis film, Bloodlines (2014), screened at multiple international film festivals including the Berlin International Film Festival, Sun Valley Film Festival, Cine Las Americas International Film Festival and the imagineNATIVE Film + Media Arts Festival. 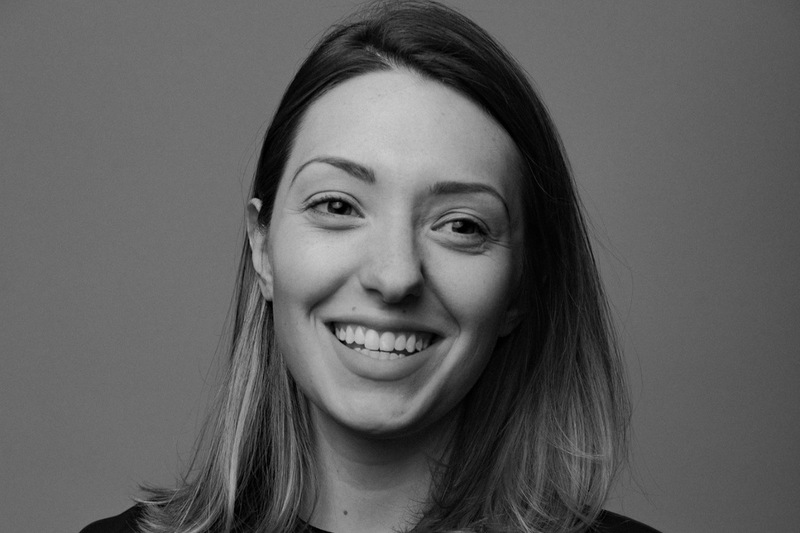 Cegielski was selected for the Time Warner Producers Fellowship and Sundance Creative Producing Summit through the Sundance Native Lab. He was selected as a directing fellow of Film Independent’s Project Involve program 2016, where he was awarded the Sony Pictures Diversity Fellowship. 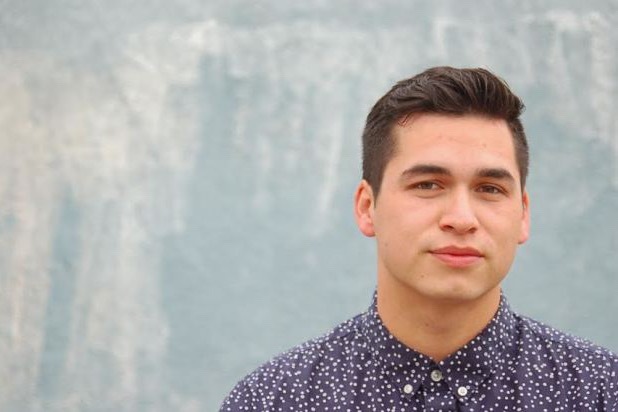 His most recent short film, REAGAN (2016), premiered at the imagineNATIVE Film + Media Arts Festival. Cegielski continues to be an active participant in artistic development and mentorship for Native youth. 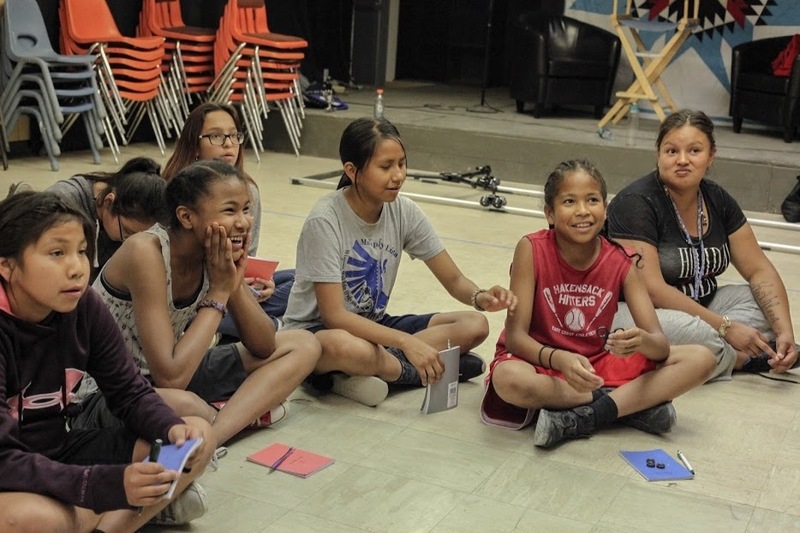 In 2015, Cegielski worked with Paper Rocket Productions, a Native-owned production company, where he mentored a four-week multi-media workshop held on the Navajo reservation. 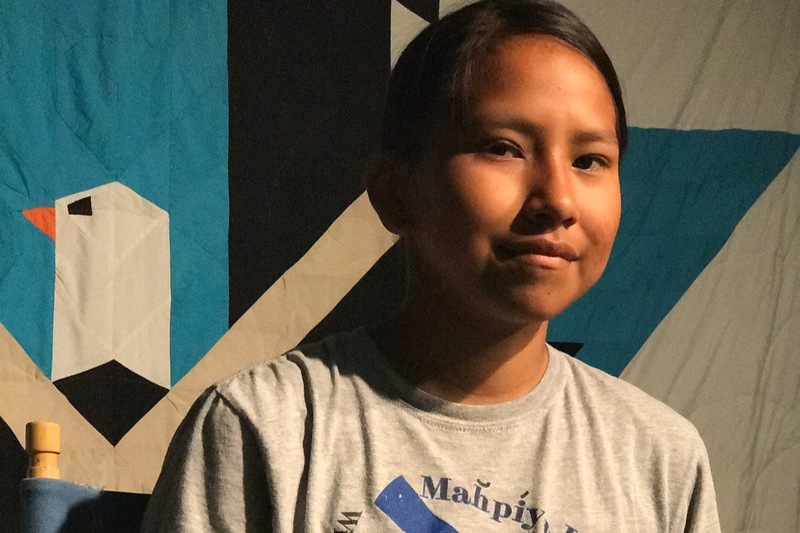 In the summer of 2017, Cegielski helped produce Outlast Film Camp, a two-week filmmaking camp for Native youth on the Pine Ridge reservation. Cegielski resides in Los Angeles where he is currently developing and writing short films, pilots, features and commercial projects. He is currently finishing up his first feature script, Movement Through the Valley. Katia graduated from the Russian Academy of Theater Arts in 2012. She's worked as an actress in both Moscow and New York. She's currently based in LA and works in film production as both a director and a production designer. Her goal is to create kindness through storytelling. (2009) she began working as a tattoo artist and a gallery assistant while attending university. She left tattooing to pursue filmmaking when she made her first film with investors, Majhool (2015). USC’s Roski School of Art and Design with a B.A. in Fine Arts. Currently she freelances as in various areas of film production and shows her art in local galleries. Carol Antoinette is a proud Inglewood, California native. She recently graduated from the University of Southern California with a BA in Acting. Through interning for various companies such as Lifetime Original Movies, Viola Davis' JuVee Productions, and Francine Maisler Casting Carol has acquired a deep knowledge & love for the development and production process which came in handy while she was producing Downbeat's first short film, 'Safe Haven'. In 2016 she co-founded Downbeat Entertainment, in hopes to create a culture that uplifts and caters to the marginalized communities that are often silenced and exploited in the entertainment industry today. In addition to acting and producing, through Downbeat Carol begun cultivating her voice as a writer, from writing the sketch 'Tasteless' to writing Downbeat's upcoming feature 'Baseline'. 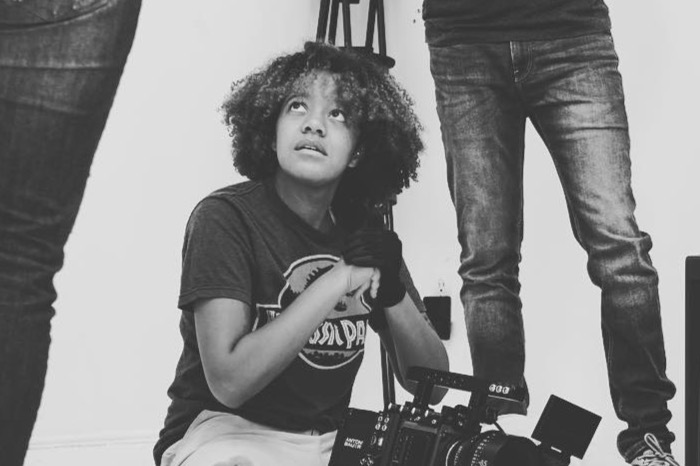 Mykaila Williams grew up in Miami, FL before attending USC for her undergraduate degree in Film and Television Production. 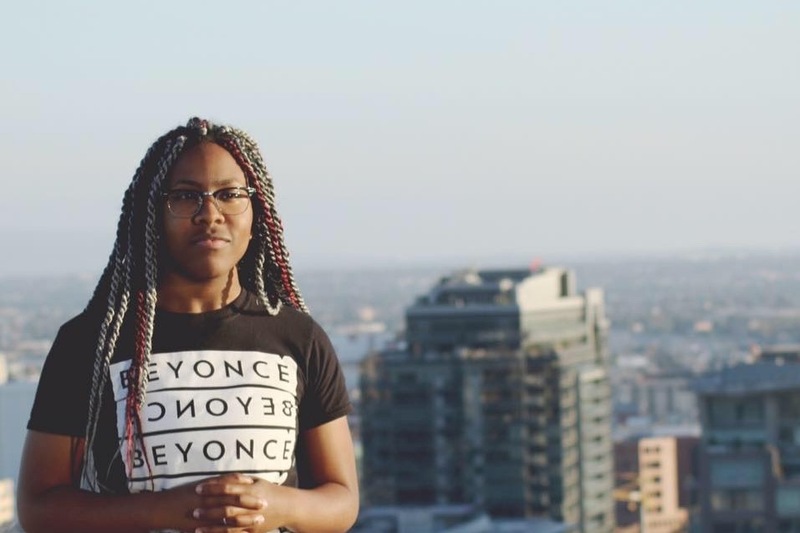 Now a freelancing producer, Mykaila focuses on stories of diversity, equity and inclusion. Through Outlast, Mykaila hopes to bring her community the interesting content that it wants as well as important stories that it needs. 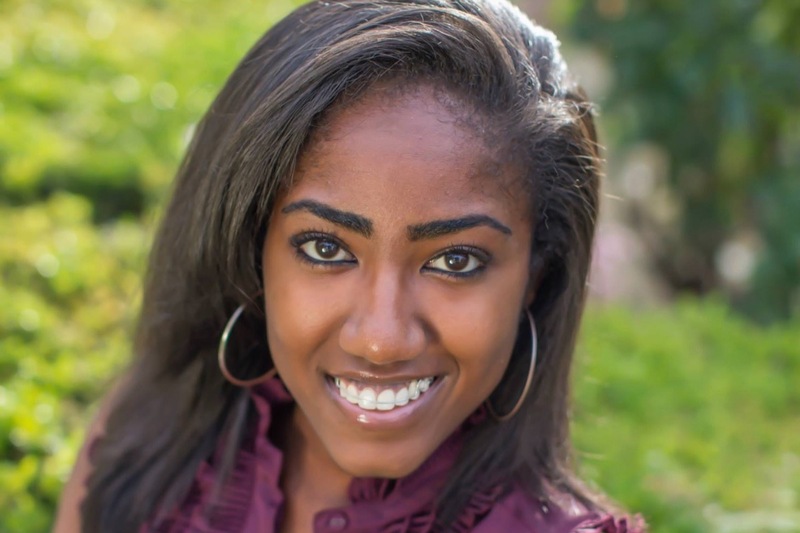 In her free time, she enjoys watching television with her girlfriend, retweeting Black Twitter, and volunteering. Ramone is from Detroit, currently living in Los Angeles. Outside of his love for filmmaking, he's also passionate about music and has a love of reading. In the world of film, he's recently DP'd a short film, has produced and AD'd music videos and has also worked on commercials, web series and independent features. His goal is to learn as much as he can so that he can make sure that all people, no matter skin tone or economic standing, have the opportunity to be creative and most importantly help others share their voice. WE CAN'T DO THIS WITHOUT YOU. PLEASE SUPPORT OUR CAMPAIGN BY DONATING AND/OR SHARING. Visit www.outlastfilmcamp.com for more information and to see our previous years camps. 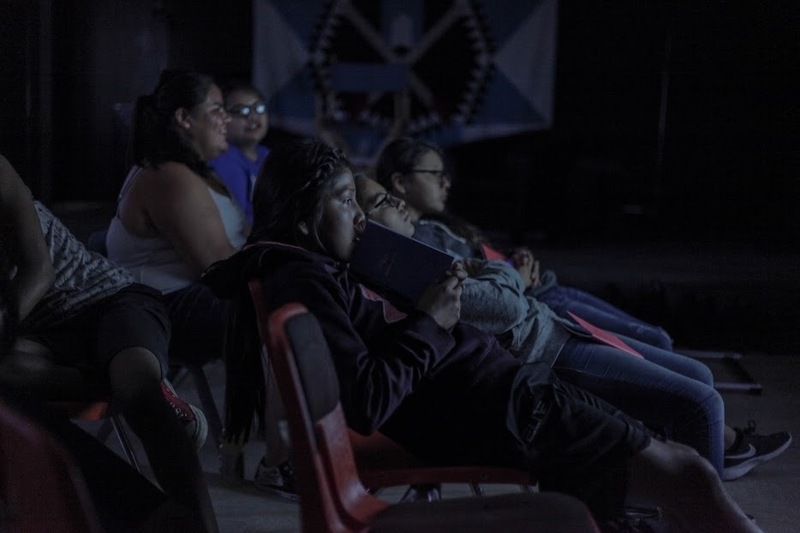 And don't forget to checkout the short film the students made during out 2017 camp on Pine Ridge Indian Reservation. First and foremost, the Outlast Team would like to send the biggest and best THANK YOU to everyone who donated to our 2018 camp. Over the next few weeks we are going to updating and releasing a lot of content via our website, Facebook and Instagram. We have so many stories and pictures and videos to share with you, including the official nation-wide release of the music video for Frank Waln's song, the music video our kids conceptualized, created and shot in one week. All that will come! For now, we'd like to offer a special thanks to our donors, a keepsake photo from camp and some sage we collected from the reservation during our time there. If you're interested in receiving this gift, please send us an email (OutlastFilmCamp@gmail.com) with your name and address! This gift barely expresses the thanks we owe you for supporting this camp and in the future, as we grow as an organization, we hope to be able to do more for our supporters. We do still have t-shirts for sale, designed by local Lakota artist Elizabeth Skye. T-shirts are $25 plus shipping. Just let us know in the response if you are interested in purchasing one. Keep an eye on our channels for future updates and thank you again!! 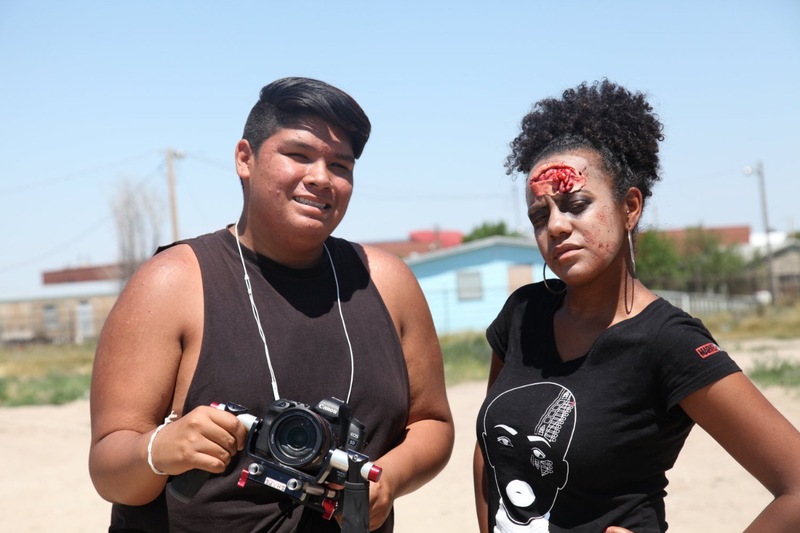 Thank you so much for donating to the 2018 Outlast Film Camp at Pine Ridge Reservation. We're about a month out from camp and in our home stretch of planning! Our director, LT, is currently visiting Pine Ridge and checking out our new home at the Oglala Lakota Children's Justice Center. The center is a nonprofit organization supporting and promoting volunteer advocacy for abused and neglected children in the justice system and beyond. They have graciously opened their doors and their hearts to our camp. Learn more about their efforts here! While we are getting close, we still a few thousand dollars from our fundraising goal. Hitting this goal is even more crucial since we have already MAXED OUT our attendance for this year! Twenty-two children have signed up, with a group coming all the way from a reservation in Indiana to join us. The t-shirts are $25 each, plus shipping. See pictures below We can ship to anywhere in the US. 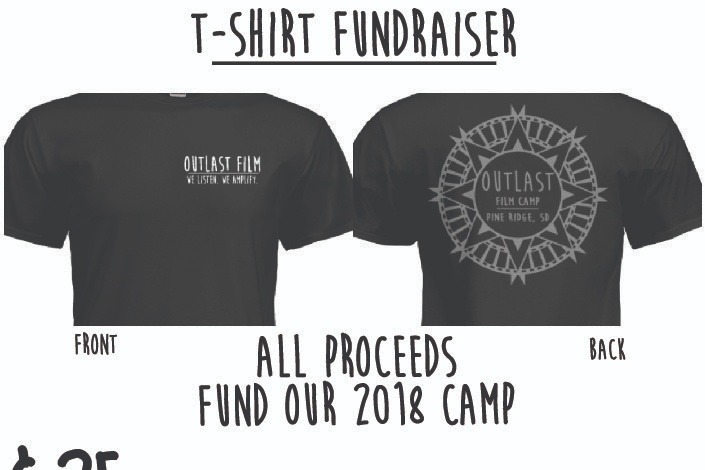 Shoot us an email at OutlastFilmCamp@gmail.com if you're interested in ordering! We will be posting more updates as we get closer to camp so follow our instagram @OutlastFilmCamp to stay in touch! And thank you again SO MUCH for your support. We just wanted to give a huge thank you to all those who have donated! We are early in our campaign and making strides. We deeply appreciate all of the support and cannot make this camp happen without all of you.